Should I Purchase Additional Insurance When Renting a Car? Does my Insurance Cover me in a Rental Car? If I am involved in an auto accident while using a rental car, will my insurance cover me? Auto accident attorney David Ricks explains in this video. When renting a vehicle, it's virtually impossible to leave the car rental agency's counter without the representative offering you extra types of insurance, all purportedly designed to guarantee you're protected in the event of a car accident. Usually, these additional options include everything from a collision damage waiver and supplemental liability protection to personal accident insurance and personal effects coverage. No one wants to be charged for a damaged or stolen vehicle, pay for injuries related to a car accident, or deal with valuables stolen from the vehicle. But while these additional insurance options sound good on paper, are they really necessary and worth the added cost? Before you sign, consider the possible alternatives you may already have that provide good—or perhaps better—coverage. If you have a personal car insurance policy—whether it's liability insurance, collision coverage or comprehensive coverage you're likely covered when renting a vehicle, too. In many cases, the policy you already have may meet or exceed what's offered by the car rental company, so you can avoid doubling the cost of your rental with duplicate insurance coverage. Check with your car insurance company first to see if your current policy covers car rental. In general, liability insurance and comprehensive coverage policies protect you while driving a rented vehicle. Personal auto coverage amounts should also be adequate to cover the rental, particularly if it's a similar value to your personal vehicle. When you use a credit card to pay for your rental, an additional cardholder benefit may be insurance benefits for rental cars, such as collision coverage, which covers property damage, but not medical costs; or secondary insurance, which kicks in once your primary insurance has paid its portion of the claim. The credit card company's secondary insurance policy might also be used to help pay a deductible or fill a coverage gap. Review the terms of your credit agreement to see what the stipulations might be. Some credit card companies may also offer cardholders primary insurance coverage for car rentals, usually for an added fee. Before considering this option, compare the policy details to your current auto insurance coverage to determine if there's enough of a difference to make a change. Your regular car insurance policy has a high deductible. Using supplemental insurance helps you avoid a raised premium on your regular insurance policy in the event of an accident. You're only insured under a commercial car insurance policy. 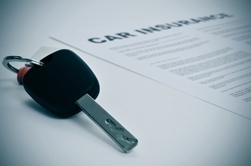 You don't have a car insurance policy with rental vehicle coverage. If you were injured in a serious car accident, you'll have to deal with the at-fault driver's insurance company, as well as your own, which can be a frustrating experience. Securing the representation of a knowledgeable and reputable legal firm can help ensure the financial settlement you need and deserve. Contact the Inland Empire Law Group's Victorville or Rancho Cucamonga law offices today to schedule a free, no-obligation initial consultation to discuss your case.